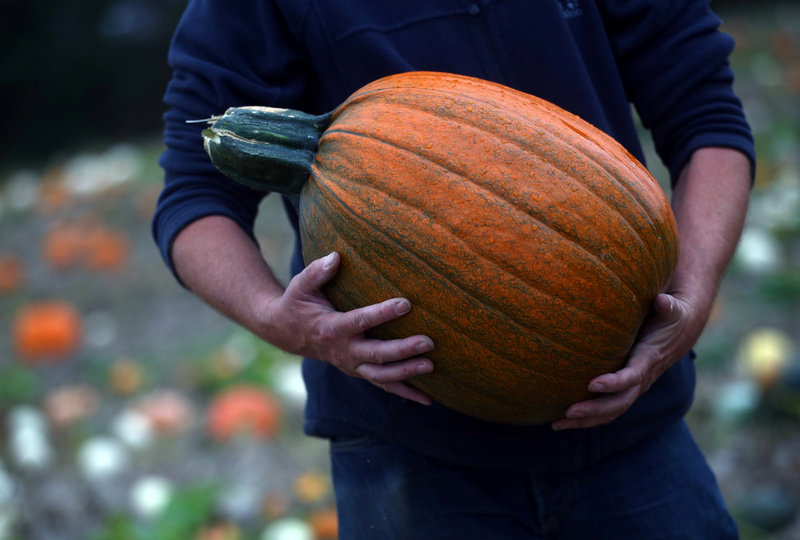 Pumpkin farmer Charlie Eckley planted his seeds in May ready for an October harvest and this year’s hot, dry summer only had a small impact on the size of this year’s crop. 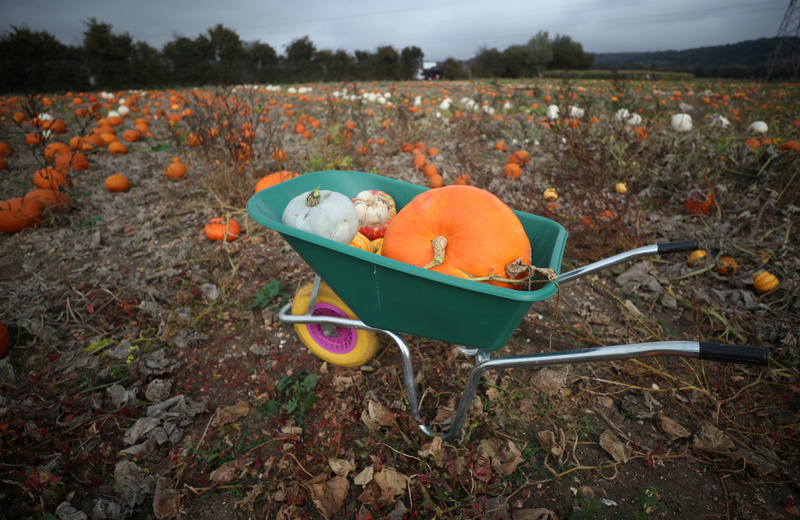 His 22-acre Pumpkin Moon site in Maidstone is now receiving families visiting to pick pumpkins and squash. “I love Halloween, I love encouraging people out into the farm, into the countryside, to get out of the house. So it’s not just my love of the actual pumpkins themselves. It’s to get families out enjoying the countryside, getting fresh air, in a field,” Eckley said. A local visitor, Amy Thorne, came to the farm with her daughter Eva dressed as a skeleton. “It’s just nice to come down as a family, and they’re really beautiful as well, the pumpkins, so yeah, nice to decorate the house, get in the spirit,” Thorne said.